Lucignano villas with pools, holiday cottages to rent, luxury gites for hire, vacation rentals, self catering accommodation, letting houses for family holidays in Lucignano. Lucignano is a rural village in the heart of Tuscany. 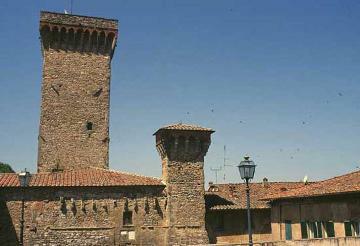 Located to the west of the beautiful Lake Trasimono, which itself has an extraordinary history, Lucignano is very well appointed the ancient cities of Florence 94km and Siena 45km, two of the regions prime tourist sites. The nearest main international airport with direct flights is Pisa (PSA) 193km which is serviced by low cost airlines such as Easyjet, Ryanair and Jet2 as well as British Airways. The road system from Pisa is good as it is mainly duel carriageway or motorway. The climate in Lucignano is warm and sunny from early May through to late September with little rainfall during that period. It gets quit hot in July and August for the main summer holidays but the villas are well adapted to cope with the heat and of course a swimming pool comes in handy. We have 4 villas in Lucignano.